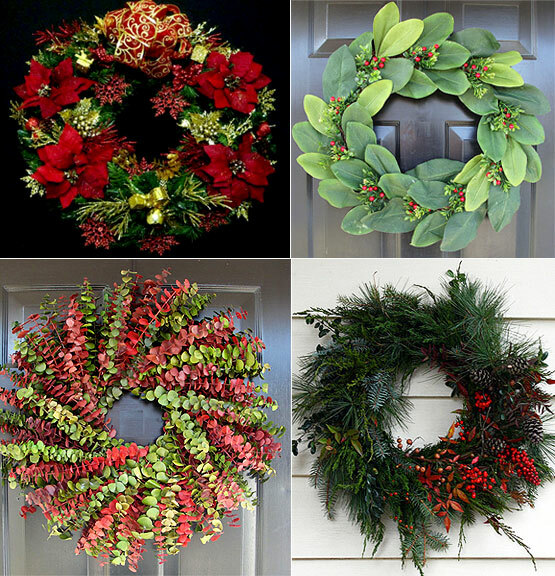 More than just a decorative touch, wreaths have existed since the times of the ancient Romans. Before Christianity, pagan rituals of mid-winter often featured a wreath of evergreen with four candles. The candles were placed in each of the four directions, representing the elements of Earth, Wind, Water, and Fire. Rituals were performed to ensure the continuance of the circle of life. Some Christians use this idea also. The four candles represent the advent of Christmas and the hope of returning light in the Spring. In ancient Greece, olive wreath crowns were awarded to victors in the original Olympic Games. 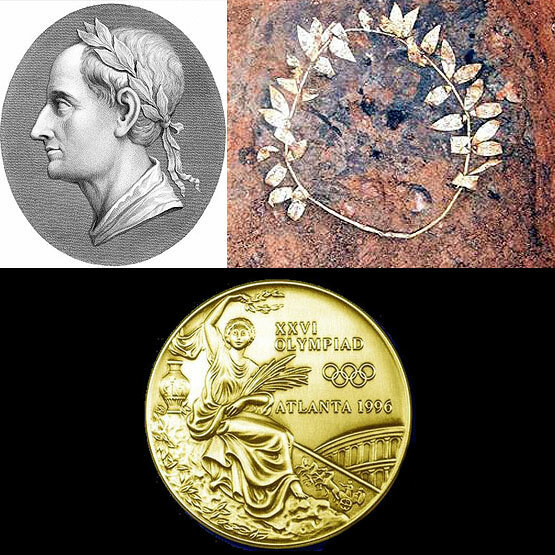 Today, modern Olympic medals often bear the same olive wreath image. These wreaths stood for Victory over challenges. The Christmas wreath has much symbolism attached to it. The shape of the circle has no beginning and no end. This circle could mean the eternal nature of God’s love or the Circle of Life. The use of Evergreen branches suggests victory of life through darkness and challenge. Think of the Greek Victors Crown. Think of the hope that light will come back to the world with the advent of Spring. Square wreaths are gaining in popularity—perhaps non-traditional, but just as exquisite. Color and texture are vividly portrayed in these gorgeous ornament wreaths. 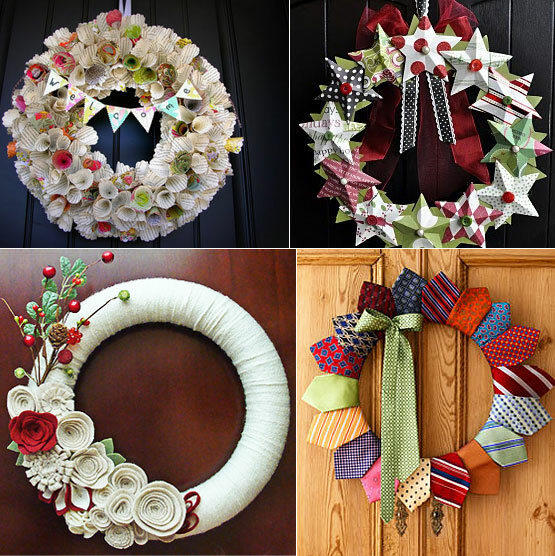 They domonstrate how wreaths can be meaningful or just plain fun. How did we come to hang wreaths on our doors? Decorative wreaths using different floral arrangements were used anciently to identify different families and houses. Whereas today we use house numbers. 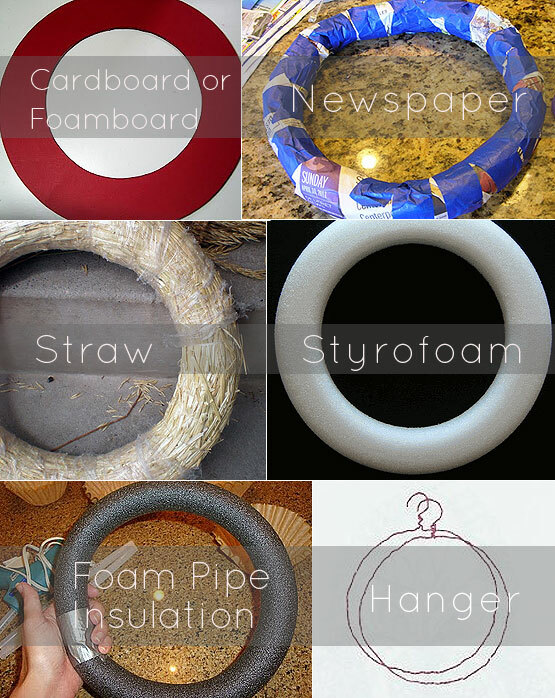 Building your own wreath is a lot of fun! There are a myriad of bases to choose from. If you need inspiration then Etsy and Pinterest are amazing resources. 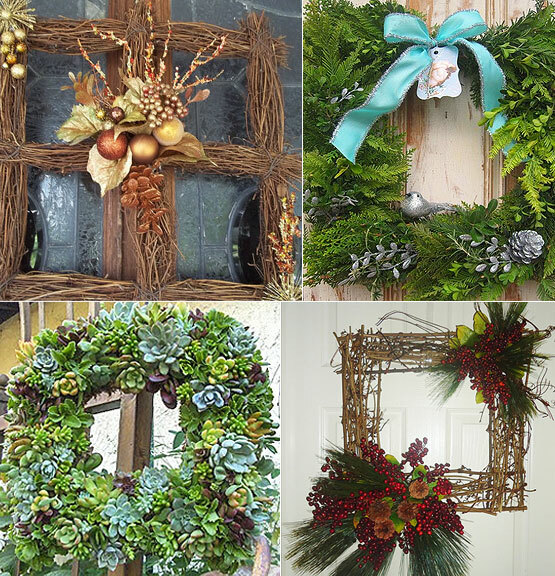 Wreaths are wrought with lore and tradition as well as whimsy and fun. Whether you hang a wreath on the door to welcome visitors, or on the wall to complete your home’s decor, the splash of color on a cold winters day is sure to add a feeling of warmth, building excitement for the coming season. www.colourlovers.comI love rocks! Especially heart shaped ones that I find in the many adventures I take with my family, exploring the beach, camping at the river, or hiking in the mountains. Gardening is my forte, and almost anything that gets me out of the house and into nature. When I have to be indoors, you will find me knitting or crocheting something for my grandkids while watching a good movie, or doing genealogy and drinking a cup of yerba mate. What brings me the most joy and satisfaction though, is hanging out with my family: my husband, five kids and their spouses, and lovable grandkids. I'm glad you enjoyed it! I have to apologize though, I only curated the post - Rochelle actually wrote it. :) I fixed the authorship - accidentally posted under myself. :) fixed. I love this! Wreaths have always been a part of our Christmas decor since I was a small child. I carry this into our home along with the Christmas tree and candles. Thank you for posting this. The pictures are really beautiful! I'm glad you liked it. I love knowing why we have these traditions myself. Such a cute and pretty article! I loved the part about hanging wreaths on doors in ancient days for the same reason we display house numbers know--very cool! Didn't know that. Thanks for the great article. I found this cute little wreath plan on that same web site and thought I would share. I would think this would be a event only wreath unless you hung inside the house. This wreath is made out of napkins and grapevine. To me the durability would be the drawback if you want something to last the season. It would not hold in the rain....But, many of you probably do a lot of entertaining for multiple reasons. When I worked at the bank I always had our executives over, always had the husbands executives over, I did my girlfriend Christmas, and the kids friends....that is not to mention all the family affairs.It would also make a great hostess event gift. Since it is very inexpensive to change that would outweigh the drawbacks. I hope you had a wonderful holiday weekend. I enjoyed time with my family in Oklahoma and some yummy home cooking! Besides stuffing myself with turkey, I also had time to relax and make a Christmas wreath for my mom. This was the easiest wreath I’ve ever made! I used cocktail napkins and an old grapevine wreath to create simple holiday decor. I twisted the middle of a napkin and stuffed it into the grapevine wreath. No glue needed! 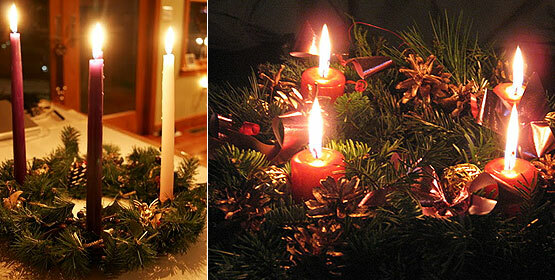 This way you can easily change the wreath at anytime. It takes about 15 minutes to stuff the wreath. After you add a lot of napkins, the wreath looks really good. To hide the back of the napkins which was white, I adjusted one so the white was not showing, then used a glue stick to hold it in place by sticking the napkins to each other. For this wreath, I added a string of jingle bells, a pretty ribbon and sprinkled it all with glitter. Of course this won’t work outside, but my mom has a screened-in front porch, so the wreath looked great on her front door! I wonder if anyone will notice it’s made with napkins? I thought it turned out really pretty! 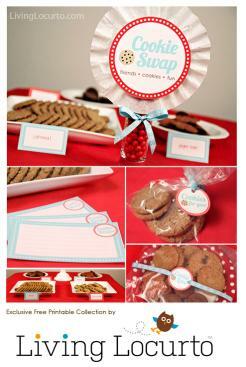 you can find this and other fun holiday quickies at Amy Locurto's website. Thanks! I love learning about traditions too. I really enjoyed this article Rocky. I love how you laid it out ....and all the different venues for wreaths. Very well written and love all the choices you used to state your claim. @glindathegoodwitch awesome wreaths. that napkin one seems like a super simple one you could def throw together for a party - and it would coordinate with a food table decor. thanks (as always)!